This TA Technix sport suspension kit is for the Fiat Seicento type 187. This TA Technix sport suspension kit is for the Fiat Uno type 146A. This TA Technix sport suspension kit is for the Fiat Cinquecento type 170. 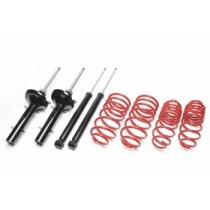 This TA Technix sport suspension kit is for the Fiat Stilo type 192.